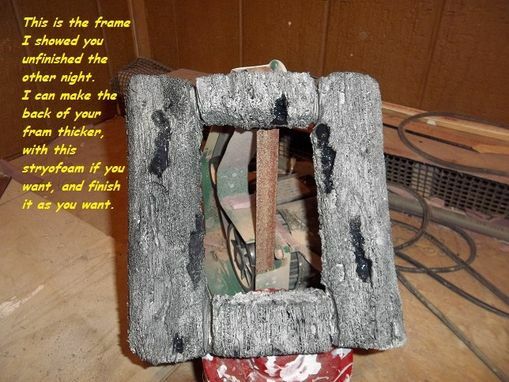 Faux wood picture frame. Handcarved and stained in solid urethane. Dimensions: Frame is for a 6x4 picture.